A consultant with Crandall Engineering of Moncton suggests the construction of two large stormwater retention ponds east of Lorne Street will be crucial for long-term flood prevention in downtown Sackville. During a presentation to town council on Tuesday evening, Pierre Plourde said the large ponds will be needed to store water when there are heavy rains, especially during the high Fundy tides. “As a storm hits and the tides are in, then the water needs to go somewhere,” Plourde said, adding that now it ends up flooding downtown streets during bad storms. In Phase One, of the project that was completed last year, construction companies reconstructed Lorne and St. James Streets installing bigger storm sewers and digging a large drainage ditch that was intended to tie into Phase Two which was supposed to cost $2.9 million. However, the lowest bid for Phase Two came in at $5.9 million sending the town and its consultants back to the drawing boards. On Tuesday, Plourde repeated what Town Engineer Dwayne Acton had reported to council last month. 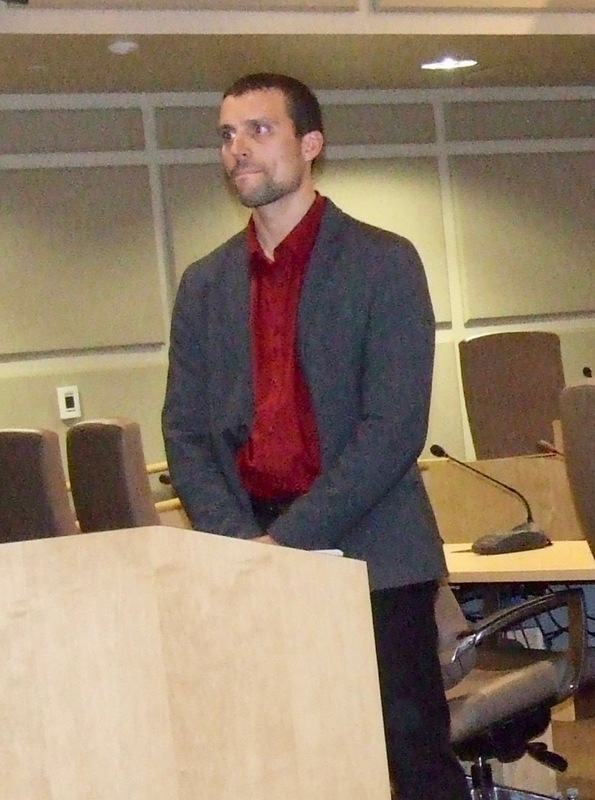 He said that for now, Crandall and the town have been forced to scrap the original plan for the construction of the two large retention ponds along with pipes and ditches to drain water on a direct route through the Sackville Industrial Park to a double-gated aboiteau near one of the town’s sewage lagoons. 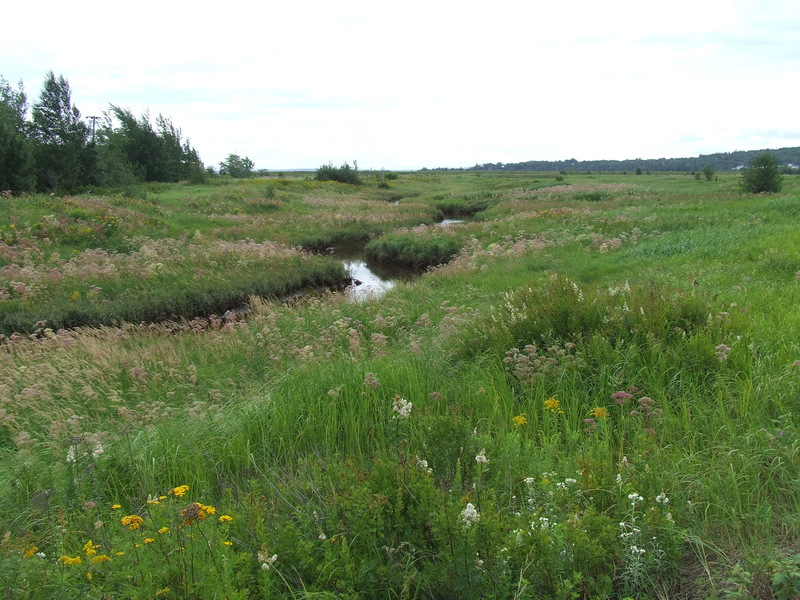 Under that plan, the aboiteau would discharge stormwater into the Tantramar River as the tides recede. Instead, Plourde said the new short-term plan includes the construction of just one large retention pond east of Lorne and south of St. James Streets. That pond will store stormwater until it can be directed along a circular route through existing ditches to culverts under the CN tracks at Crescent Street and then, out to the river past the Armtec plant using provincially owned ditches and aboiteaux in the marshy areas along the way. The new plan also includes a retention pond in the old Sackville Quarry to prevent stormwater from flooding into the downtown area. Last month, a majority of councillors approved paying Crandall an additional $105,000 to design the new plan. In the meantime, the town will apply for more money from the federal and provincial governments to carry out its original plan. On Tuesday, Councillor Bill Evans said it might be hard getting more money because the storm sewers and ditches constructed during Phase One combined with the retention ponds that are part of the new plan will be able to handle rainwater during all but the most severe storms. Meantime, Town Engineer Dwayne Action explained to councillors on Tuesday why work has stopped on the flood control project on Route 935 in the Carters Brook area of West Sackville. The New Brunswick Department of Transportation and Infrastructure (DTI) had hired a construction company to install three, six-foot, concrete aboiteaux spaced 10 feet apart. Acton said, however, that water was getting into the work site through the temporary service road that had been built to divert traffic. He said DTI will be meeting with the contractor who built the service road next week to discuss how to resolve the problem so that work can continue on installing the new aboiteaux. “Our assurance from DTI is that it is getting rectified and they should be back on site to proceed with the project very soon,” Acton reported. This entry was posted in Town of Sackville and tagged Crandall Engineering, Lorne Street Phase Two, Pierre Plourde, Rte. 935. Bookmark the permalink. The statement by Councillor Bill Evans is very revealing. He referred to the large drainage ditch which was dug last year behind Lorne St, saying how well it has worked to prevent flooding. His point was that because of this, it might be difficult to convince funding sources that we need more money to do anything further in the future. According to the Engineer from Crandall’s, it seems they are planning to utilize the existing older drainage ditch on the marsh side of Crescent St ‘as is’, without cleaning it out. However, DTI engineers are currently making plans for the coming year to greatly expand and extend that drainage ditch out toward Carter’s Brook, and add a new larger aboiteau. That will permanently eliminate the need for any further storage capacity, making any holding pond redundant. One wonders then why that pond continues to be such a central part of Crandall’s plans. Sadly the citizens of Sackville have been informed on Tuesday night that they are NOT allowed any communication directly with the Crandall Engineers. All requests for information must be channelled either through the Town Engineer or Jamie Burke, Senior Manager of Corporate Projects. No citizens’ questions were allowed at the very informal presentation and when I met up with the Crandall engineer in the lobby and simply asked him what the area of the holding pond and the relating watershed was, Mr Burke came rushing into the lobby and forbade me to talk to engineer Pierre Plourde saying it was the Town paying for his services and I was NOT to communicate with him and any request for information would have to be sent to himself or the Town Engineer via email. The last time emails were sent to these two gentlemen they were not answered. Thank you Percy Best for sharing. This seems to be in contrast with the values/practices of both Crandall and Englobe (its merger), at least from what I read or hear. However, the Town of Sackville is consistent with itself… Remember the saga of the old white beautiful church and the treatment of citizens when they opened their mouth to question a fake permit or testify in courts and the hiring of a “consultant” resulting in the finally not-too-secret “so called secret” Lordon report? Anyhow, it is not to bring the very recent past back that I say this but simply to say, once again, this is the sad outcome when politicians become too disconnected from their people. A few days ago, Azi wrote a sarcastic comment about “the chairs” on which our Councillors sit that could be to blame maybe 🙂 (interesting as citizens of Lebanon say this too sometimes). Beware of chairs though…sometimes in life they could even be involved in absurd wars :(. Anyhow, to come back to Sackville, I cannot help not to think the following: (1). What is our Town hiding now or…is it just an old bad habit (they can’t help it)? (2). It it is not because we pay the services of someone/a company that we should feel entitled to think that we own them…to the point of wanting to control their “own” behaviour (replying to simple questions by interested citizens). Perhaps I am reading too much into this. Who knows? To me, it comes down to two simple/basic things in life: Respect and listen or respect enough to be able to listen (especially to those whom you may not agree with). Well according to what DTI told us there is absolutely NO need for any holding pond. It is a rather simple matter to clean out and enlarge the ditches headed to Carter’s Brook and just put in a regular 6 ft aboiteau. There is only a 4 hour or so actual time when the gate on the aboiteau would be completely closed due to the twice daily high tide. The large ditch system, parallel to the dyke down across the marsh area by the Via Rail Station, would be more than sufficient to contain any back up of water for this small period of time until the aboiteau again opens. Not sure why this unrecommended two million dollar holding pond is so high up on the ‘must have list’ of those seemingly in charge of this rather simple drainage project. For the taxpaying citizens, so mired in an incredible debt load, their chosen design certainly seems like such a blatant waste of money. How sad to see that there is zero accountability… is this democracy?